On today’s episode of THE FOOD SEEN, from the Hudson River to Caspian Basin, Siberian to Keluga, Craig Page of Pearl Street Caviar tells us a fish story about Triassic-era sturgeon (that’s pre-dinosaur), and it’s exotic eggs we call caviar. 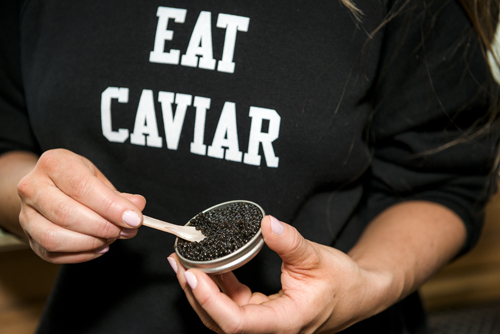 A luxury to most, caviar isn’t only for celebrating with extravagance; it’s nutrient dense, full of Omega 3s, memory-boosting choline, better B12 than beef, and more iron than spinach. Pearl Street Caviar hopes to bring back accessible roe to the Hudson River, a waterway that 200 years ago was the largest producer of caviar in the world! Caviar grilled cheese anyone?